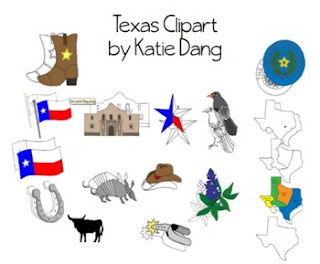 This is a collection of 34 pieces of clip art about all things Texas. The graphics are all in a zipped folder and saved in a PNG conveniently for you! They are saved at 300 dpi as well. You may use these in personal and commercial items, but just make sure you give me credit by putting a link to my TPT store (http://www.teacherspayteachers.com/Store/Katie-Dang) or my name (Katie Dang).